We encourage all parents to save October 8, Thursday for the return of our highly successful Open House Program. This is a chance for both old and new parents to sit in on classes, attend a discussion-based learning session, tour the campus and chat with our students. 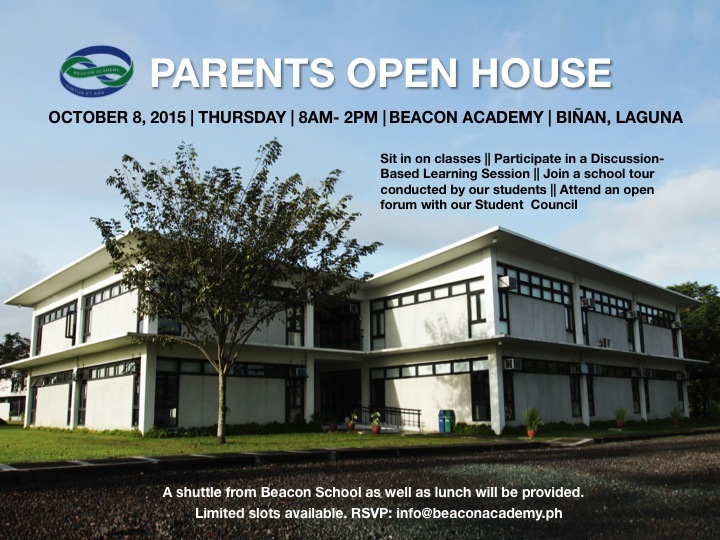 Please RSVP via info@beaconacademy.ph if you’re interested in participating this year. This event is also open to friends of the Beacon Academy community who are interested to learn more about the Academy, so please feel free to spread the word.